Look in your garage! An infinite amount of cars! Stacey Abrams is a progressive Gubernatorial candidate, who has a chance to become Georgia’s first woman of color in the position of Governor. Her campaign is one that focus on progressive ideas, helping those who need help, and is up against the campaign of a Trumpist Republican who very racistly has said that he will round up immigrants in his truck. So… well, Stacey Abrams is absolutely someone we want to see win, and she has had a big, big push forward after Oprah Winfrey, a woman who needs no introduction at all, but I guess I’ll call her “entrepreneur, celebrity talk show host, and maybe the most recognizable human being on the planet right now” has announced that she is going door to door to promote Stacey Abrams for governor. 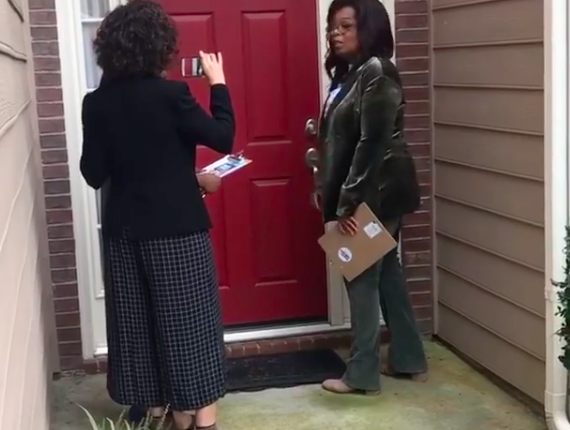 Oprah is going to knock on the doors of mortal human beings like you and I and ask us, very nicely, to vote for Stacey Abrams. Cool. Here’s a video of it, you guys! That is… amazing. And exactly the kind of push more celebrities should be making for the causes they believe in! They got star power! Now they gotta use it for good! Judd Apatow, go knock on doors for Andrew Gillum or something! No, not Judd Apatow. Someone better. Um– yeah, that Wendy’s Chicken Nugget guy from last year! Chicken Nugget Guy! Use your awful Chicken Nugget Fame for good! Knock on some doors! We beg of you! The move by Oprah was criticized by Mike Pence, who said: “I’ve got a message for all of Stacey Abrams’s liberal Hollywood friends: This ain’t Hollywood, this is Georgia, and Georgia wants a governor that’s going to put Georgia values and Georgia first. And Brian Kemp is going to do just that.” Now, a lot of media outlets don’t really call out dog whistle racism when they report it, but I will, that crap is dog whistle racism. George values!? The opponent threatens violence towards immigrants! Plus, what is Mike Pence doing criticizing show business when he works for the loudest show business phony of them all. Trump was still producing the Apprentice when he ran for President. Come on. Whatever, at least Oprah is great. 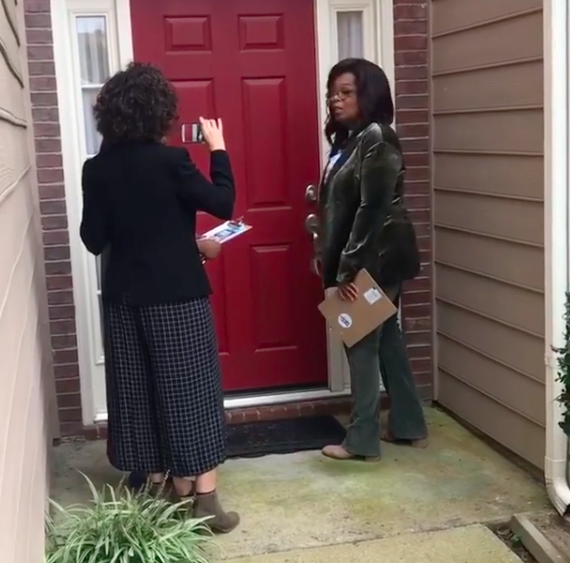 What do you think of Oprah knocking on doors? Let us know in the comments or on Twitter at @WhatsTrending.